Come "Two the Sea" and enjoy your own place to call home in Salvo. 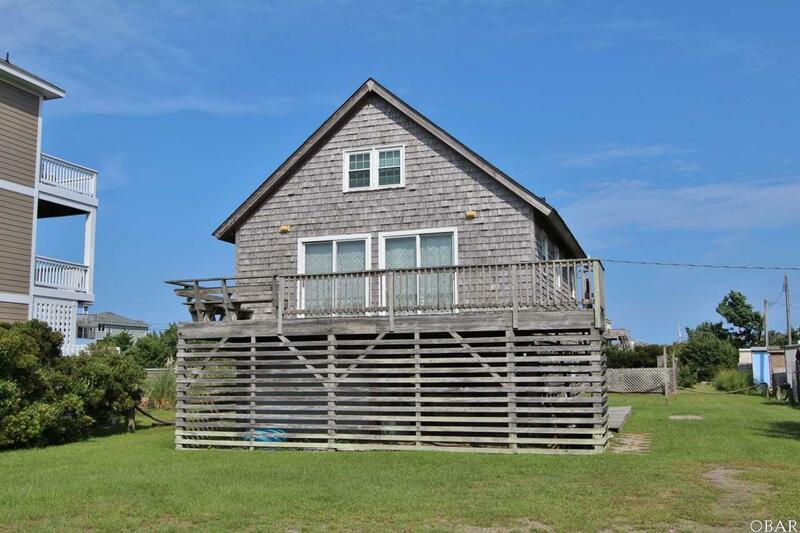 This sweet cottage has hosted many family vacations at the beach and now it is looking for new owners to enjoy it. It's on a nice sized lot with a green grassy back yard and decking under the cottage next to the man-cave, she-shed, and outdoor shower. The main level features two slider doors on the front to let the light shine into the living room and dining area, which is open to the kitchen as well. Two bedrooms and a hall bath, pantry and coat closet complete this level. Upstairs includes two bedrooms with a full bath tucked into the larger one. Window replacements and a recent roof are big positives. The home has been well maintained and enjoyed without the need for super modern updates. At this affordable price, you should have a little extra left to spend on some updates that suit you. Take a look for yourself soon! Listing courtesy of Carla Reynolds of Nc 12 Realty.